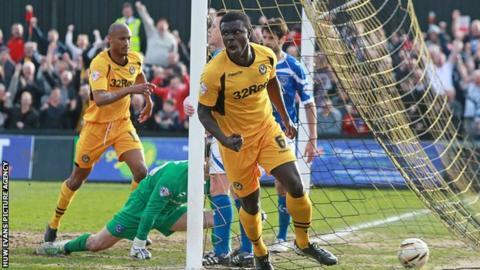 Newport County defender Ismail Yakubu is out for the rest of the season with an ankle injury. Manager Justin Edinburgh said the 29-year-old played on in that game with the injury, because the club had already used all three substitutes. "It's a real bad one. It looks like he's severely damaged ankle ligaments," said Edinburgh. "He may need an operation, but he's going to be out for a minimum of 12 weeks." Edinburgh confirmed Yakubu's injury ahead of their game against Plymouth on Tuesday, 8 April. "That's just about how our luck's gone this season with injuries," said County's boss. "I don't go on too much about it but we've had an horrendous time of it. "But we've dealt with it as a squad and a club very well. "Credit to the players but it's a big blow for us."